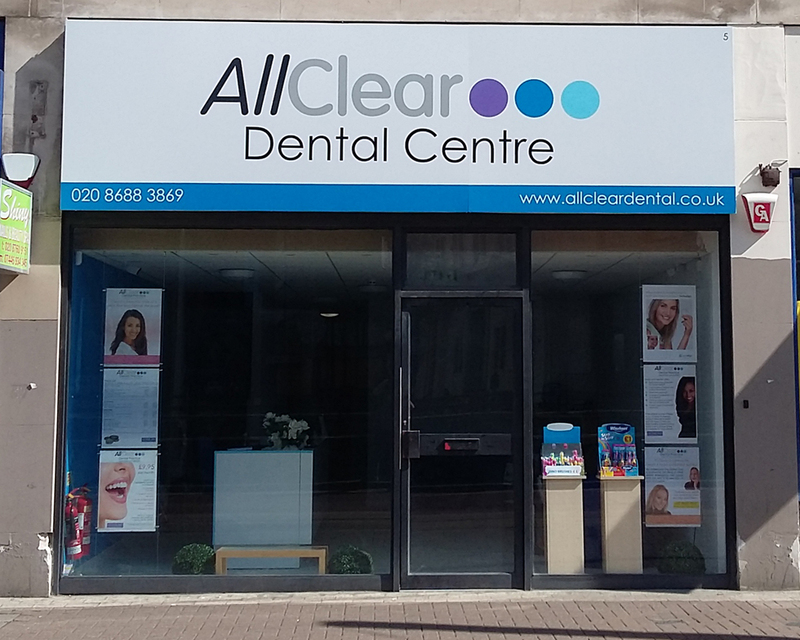 AllClear is a fully independent family run dental practice. From its state of the art practice in Central Croydon, it offers a range of treatment options to suit all needs and budgets ranging from routine checkups through a full range of general dental procedures to discrete adult orthodontic treatment. 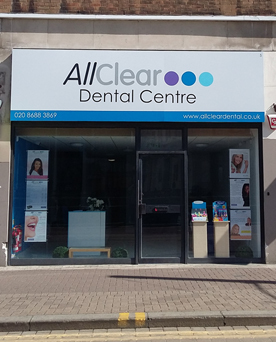 To provide outstanding dental care so that, whether you're looking for routine care or treatment for a particular problem, you always leave us with the 'all clear'. To be completely open in everything we do from explanations of treatment to pricing giving you a dental experience that is 'all clear'. Clear information - we will always ensure that you understand what the dentist is doing and will explain things to you in a straightforward way. Clear choice - where alternatives are available, your dentist will explain the options to you so that you can choose which one you want. Clear prices - the price you see is the price you pay with no hidden extras or unexpected surprises. Clear value - our aim is always to exceed your expectations, giving you great service at the best possible price. Clear quality - we'll use the latest equipment to ensure that you receive the best possible diagnosis and treatment but, in the unlikely event that something does go wrong, all of our work is guaranteed for at least one year.